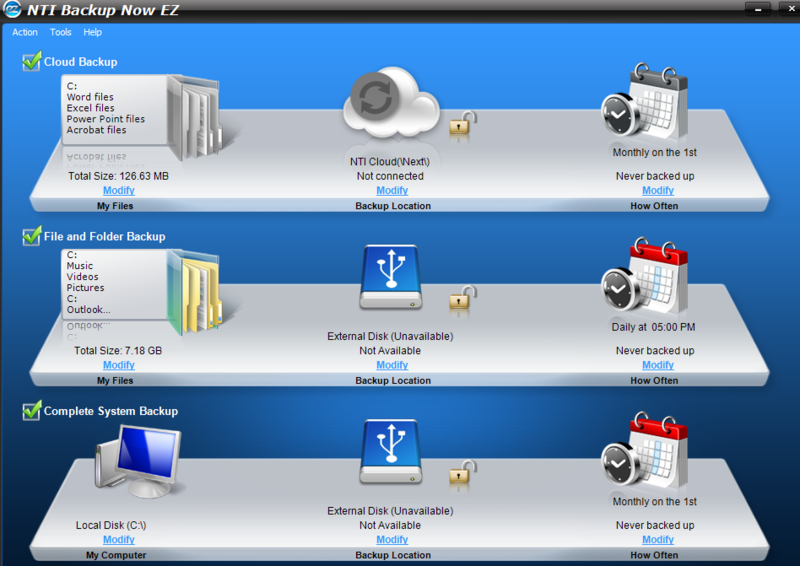 NTI backup now has several backup and storage products, and each one has slightly different features. For starters, understand that all of these products are owned by NTI Corporation, and they sell at least 14 different products on their website that all seem to be targeted at providing some type of recovery service. I find it interesting that they sell so many different backup solutions, since they are competing against themselves a little bit. I also reviewed NTI Backup Now 6 in order to be able to compare some of the differences. That said, they offer so many backup solutions that they have something for just about everyone. Today we’re going to be taking a closer look at NTI Backup Now EZ 4. As the name suggests, this is their easiest and simplest to use backup software, making it a great fit for people who hate advanced configuration options and may not consider themselves 100% technologically literate. The pricing model for this software is incredibly straightforward. However, users and potential customers should note that they bind the price to the number of licenses. So, if you only have one computer to backup, the single user license should be adequate. Unfortunately, they don’t allow packages of more than 5 user licenses. This is a bit of a drawback, but the advantage is that the software is only a one-time fee. 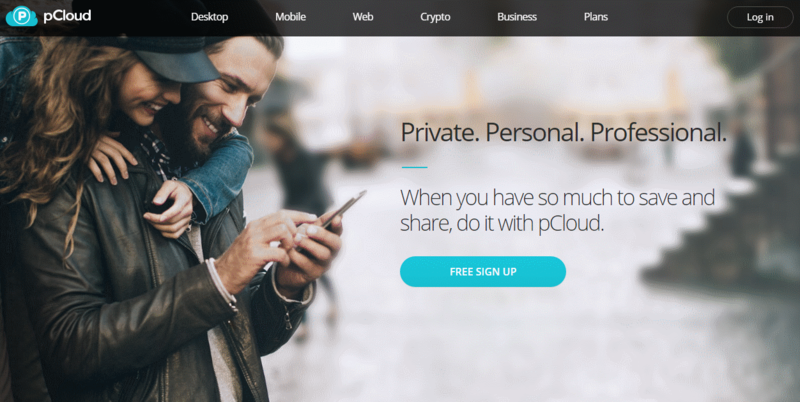 The alternative is to use a cloud storage service like SugarSync, Sync.com, or SpiderOak, which all generally allow a user to backup an unlimited number of computers – for a monthly fee, of course. 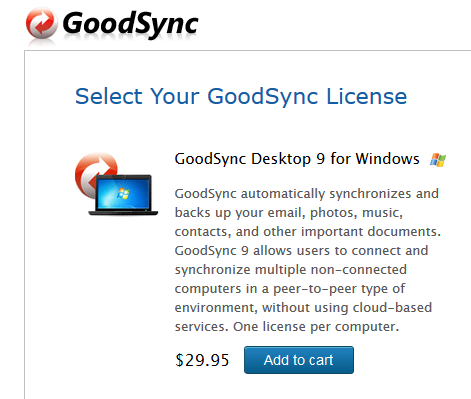 As you can see, they discount the price a little when you buy more user licenses. Unfortunately, the pricing model isn’t very granular, so users with only three or four PCs are out of luck a bit. The very first thing we should get out of the way is that this product was not designed with every operating system in mind. Instead, they seem to target Windows systems exclusively, and the software is only compatible with Windows 8.1 / 8 / 7 / Vista / XP. Though this is a turnoff for Mac users, there is some comfort in knowing that the software was designed with only one operating system in mind (there are always more bugs when code gets ported to other operating systems). I would say that their largest feature is being so darn simple to use. After booting the program, users are presented with two options: either perform a complete system backup or manually select files and folders for the backup procedure. 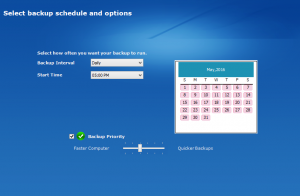 The interface neatly offers three settings menus for each type of backup, one of which is a calendar that allows users to schedule their backups. They do offer a free trial, and the file download is a mere 90 MB in size. However, the only caveat is that the software becomes only partially functional after 30 days. To date, the latest version is version 4. I would also mention that I found the free trial process rather tedious. After clicking the free trial button, you have to enter a ton of information including your email address. Only then do they email you a special free trial download code, which users must enter on their site to get the free version. 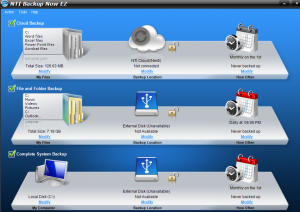 As we would expect, NTI Backup Now EZ provides security mechanisms to protect your backups. Just imagine what would happen if a hacker was able to get their hands on your backup file if it was stored in plain text (it wouldn’t be pretty). That’s why this backup utility offers AES-256 encryption and compression. The speed of the service was more than adequate considering how simple it service was. Since this isn’t a cloud service, Internet connections have no bearing on how long it takes for a backup job to complete. Instead, other factors such as memory, CPU cycles, and the speed/RPMs of your hard drive are going to determine how long it takes to complete. I might also add that it depends on how fragmented your hard drive is, too. If you are only backing up a handful of files but you haven’t run the defrag utility in a while (or ever), it’s going to take a heck of a lot longer to backup files and folders. However, I was able to backup a 135 MB file in under 14 minutes, which isn’t phenomenal but not too shabby either. When I was running the backup, I definitely noticed performance problems with reads/writes from other applications. Even saving basic word files took a little longer, and Windows Explorer was running a little sluggish. However, this is to be expected since backup utilities are infamous for hogging the hard drive. There are really only two types of backups: full system backups and manual backups which allow users to manually select custom files and folders. Obviously, the full system backup is going to take longer, and it operates on one drive at a time. By default, the C:\ drive is selected, though you will certainly want to change this default setting if you want to backup multiple drives. The restore feature’s interface is unbelievably basic. Really, it doesn’t look like there’s much to it, and it doesn’t give users a lot of options to control the restore procedure. Instead, all of the restoration process takes place behind the scenes – as it should for nontechnical users. All it really allows users to select is the drive or partition that they wish to restore as well as the restore point (essentially a backup version). They do, of course, offer technical support for their entire array of products. However, I was a little disappointed with the website’s support page. It lacks a way to ping a technician in real time, and the website looks a little old and outdated. That said, they do offer a knowledgebase, FAQs, and tutorials to help users solve their problems without contacting customer support. If you do need help from another real life human being, there are two options. Option one is to email them to open a support ticket. The second option is to call their support number, but I would like to point out that their support department is only open 9:00 AM – 6:00 PM PST M-F. This is a little disappointing since just about any other cloud service is going to offer 24/7 support. On the whole, I would say that NTI Backup Now EZ has a lot to offer. They’re cheap, ludicrously simple to use, and moderately fast. Nevertheless, I would never personally use this software myself. I do, however, think that this is one of the best backup solutions for people who aren’t technologically literate. The software’s main selling point (in my opinion) is that it’s so easy to use your great grandmother could figure it out. Though I would prefer more advanced features and settings to control the backup process, there is a large segment of the market who feels overwhelmed or even confused by a multitude of different options. With this software, just choose the type of backup you want to perform and click the next button!